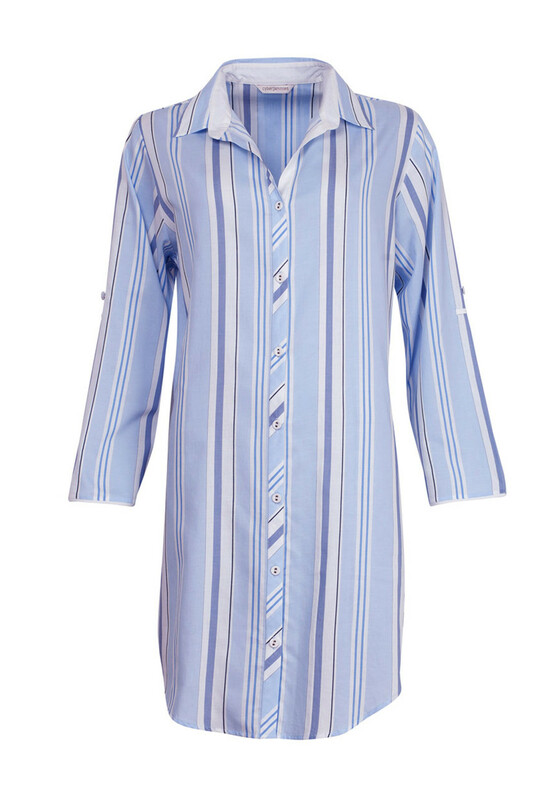 An excellent alternative to pyjamas, this night shirt from the Porcelain Doll collection by Cyberjammies will let you enjoy a comfortable and peaceful night’s sleep. 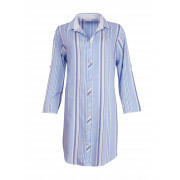 Made from soft and comfortable cotton with a classic striped print throughout. Details include a full button fastening and long sleeves.